Storify is a very well suited program to gather content in any capacity. I have used Storify in different employer settings and the experience has translated well across different work situations. The program works especially well in newsroom/journalism settings but it has also been an asset in regards to digital marketing. I'm not a fan of the way AgoraPulse pushes images to LinkedIn, which is as a link, rather than a native image. It leads to some clunky-looking posts. One item I'd like to see, which I believe they're working on, is a unified inbox. Having all notifications in one place would make it easier to use as the primary means for responding to and engaging with our audience. While the listening feature is awesome, it's fairly limited for Instagram. I wish there was the ability to create a search with filters based on language, or excluding words/hashtags, etc. There are hashtags I want to listen for, but the volume of nonsense and/or irrelevant posts that use those hashtags makes it difficult to weed through. A better advanced search function for that feature would be a huge benefit. Easier search within platform to find items for storyboard inclusion. Additional suggestions of Storify users to follow. More regular engagement within Storify user community. Storify is the best at what it does - aggregating social media content to create dynamic digital stories. The platform addresses my needs to engage students in the learning process and gives them a venue for sharing their research with a large audience. Practice makes perfect. The more often any new tool is used, the more comfortable the implementer is with the tool. Also, there is a natural tendency with any new tool, to want to use it a great deal. Identifying proper uses as they relate to your overall marketing goals is key to any decision to use a tool. 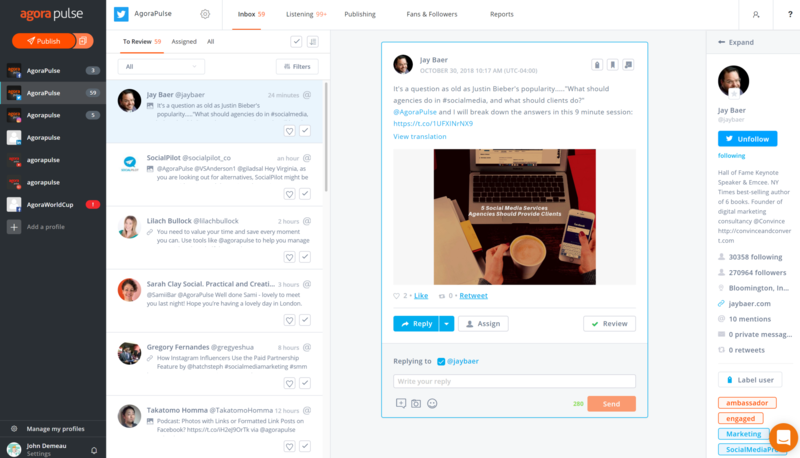 Storify is prettier and more comprehensive. Increased employee efficiency. Being able to see the setup saves a lot of time, especially if you're going for a very customised contest page. It definitely provides a more diversified content offering to our social audiences. Though I can't quote hard numbers, we usually had higher engagement when we shared Storify stories on Twitter. It also allowed us to reach potential customers whose Tweets we included in our posts that may not have ever engaged with us otherwise. Every time we posted a Storify story on Twitter and notified those quoted in the story, we had between 1 and 10 of those people respond to the post. Each of these people were talking about products or industries relevant to ours that may not have ever known about us or engaged with us otherwise.